While you'd like to improve the appearance of your teeth, you're reluctant to undergo something as extensive as dental crowns. You want to preserve as much natural tooth structure as possible. Dr. Noorendin Nurani and his professional colleagues at the Center for Cosmetic & Sedation Dentistry agree. That's why they offer a refinishing alternative in their Lawrenceville GA office. Called porcelain veneers, this cosmetic treatment disguises flaws such as chips, cracks and stains, yet leaves most of your tooth enamel in place. Some people call them dental laminates because they are thin, translucent pieces of fine ceramic directly bonded to the front of selected healthy teeth. Veneers in Lawrenceville cover cosmetic flaws such as uneven tooth length, small gaps, crowding and more. In fact, the changes can be so dramatic that veneers are nicknamed "instant orthodontics." 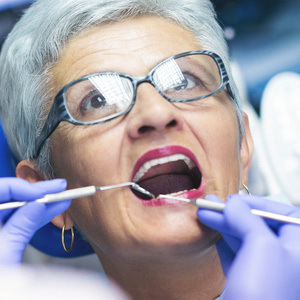 Many adults and older teens can if the dentist determines that their teeth and gums are healthy and if the flaws truly may be addressed with veneers. Additionally, patients need sufficient enamel for veneer placement and understand that this aesthetic treatment is permanent. In other words, once an individual has veneers, he or she always will have veneers because the procedure involves removal of a small amount of tooth enamel. This resurfacing allows the dentist to place the laminates properly. Enamel reduction ensures a secure bond and accurate fit, too. Expect veneers in Lawrenceville to last 10 to even 20 years, and you'll get compliments, too, because your smile aesthetics will change so dramatically. Find your dream smile at the Center for Cosmetic & Sedation Dentistry in Lawrenceville, GA. Whether you need porcelain veneers, restorations such as fillings, or tooth replacement services, your teeth and gums will thrive under the kind and practiced eyes of our professional team. If you'd like more information about porcelain veneers or other treatment options, please contact the office at (770) 995-1957 for a consultation.